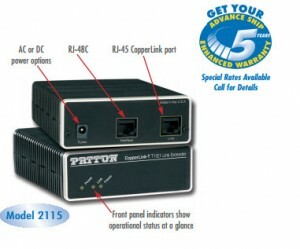 Patton Electronics raised the price on their popular CopperLink 2113 / 2115 E1 T1 Extender line. The product is now special order and is nearing end of life. We now recommend that our customers consider the Data Connect Copper-T units for extending T1 and E1 demarcs and circuits over copper.